While we are doing fantasy transit maps, here is my indicative sketch of an Inner Sydney Transit Grid (i.e. these are new high-frequency transit lines, likely some mix of tram/LRT or arterial Bus Rapid Transit with mostly dedicated lanes, assuming the already existing Sydney Trains and planned LRT and Metro [Red] lines remain, plus something on Parramatta Road [Green]). These are, of course, doodles, I haven’t done any modeling of them yet, and they would certainly replace existing bus routes in places. The problem I am trying to solve is that the network is too radial in orientation, and even simple lateral movements are difficult on public transport. A clearly defined, not circuitous, high-frequency system that serves Sydney outside the CBD (without having to transfer in the CBD) seems useful. The lines are designed to connect existing and planned stations conveniently, so the routes are run on-street from station to station. 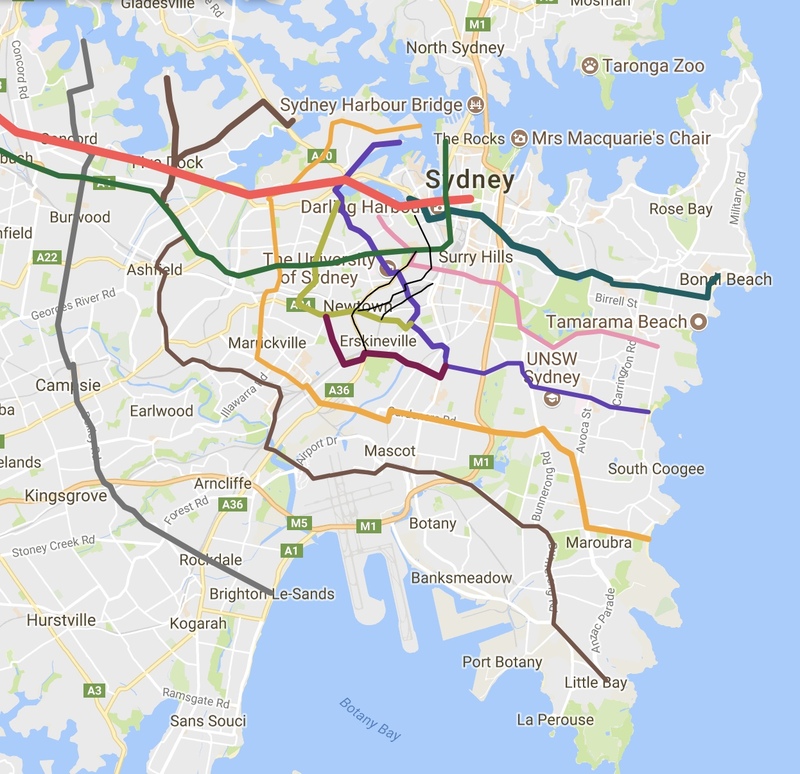 There are some “new” thin radial lines shown, which track old tram lines, in particular around the University of Sydney and Newtown. And there are some new shuttle lines in Technology Park (and presumably on the Darlington side as well) (running along the rail lines) to better connect workers to the nearby stations, which are actually relatively far away given the large numbers of workers. With most of these there is challenge finding right-of-way. I would take it from existing streets (these lines are mostly at-grade) so transit has priority. This assumes that transit service would carry more people than a laneful of cars, which likely will hold if the transit is designed to be effective. This is easier to do where there is on-street parking, harder where there is not. * The Brown Line as shown, this assumes a rail line sharing tracks with existing rail service in airport tunnel. I am not certain the technical feasibility of this, otherwise it circumnavigates the airport somehow. Sydney’s New Metro: A bonanza for Sydney residential and commercial property buyers or not? What are the problems with the current [Public Transport] system? First, the rail system in Sydney, though like all systems engendering complaints, is actually really good, reflecting on the genius of Bradfield’s original rail plan. The evidence for this is the high public transport mode share in Sydney compared to other Australian (and similarly sized US) cities. That said, it is far from perfect. 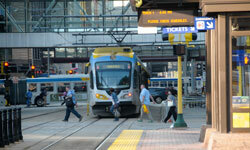 The signal system on the rail lines should be modernized to increase safety and throughput. The bus network needs to be completely rethought and streamlined, so the routes don’t go hither and yon. More on-street right-of-way should be designated exclusively for buses so they move faster and are less likely to be stuck in traffic. Tap-on, tap-off should be off the bus (at the bus stop) so that the buses can board and alight more quickly. The system as a whole needs more capacity in places. The rail stations should be modernized with more exits so the access time to and from stations is shorter, and so there are lifts for each platform. Why has it taken this long to find a solution? There have been fits and starts on expanding public transport in Sydney for decades (nearing a century on Bradfield’s plan, which is still not built out). The best theory I heard is the city exhausted itself with all the over-building for the 2000 Olympics, and then couldn’t get anything going until recently. These lines are on the maps and have been for decades, so it’s a question of money and willpower. The recent government has been far more keep to use the private sector for financing, and using asset recycling than previous governments. The advantage to private financing and control is that the infrastructure is sort of “off-the-books”, so since it is privately funded, users pay directly, as opposed to being intermediated through the political layer. This makes it easier to charge users more. This is especially the case for toll road construction as opposed to untolled motorways, but could be applied to public transport as well. What has been confirmed / what are we still waiting to find out? Sydney Metro Northwest is well under construction. 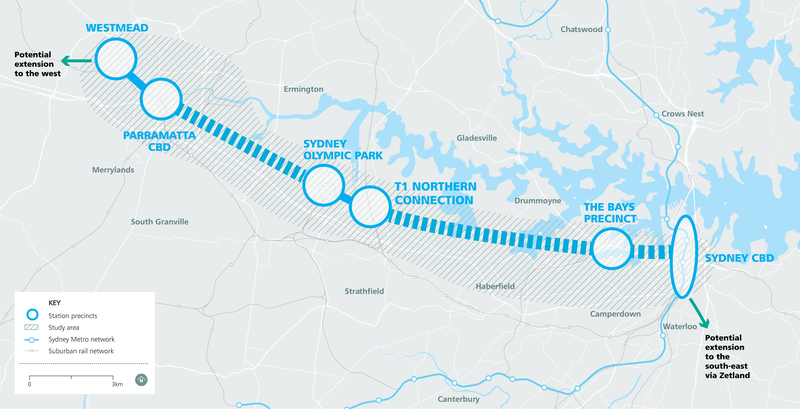 Sydney Metro City and Southwest, replacing the T3 Bankstown Line, is in engineering and early construction. What happens to service at the end of the existing T3 line (beyond Bankstown, e.g. Yagoona and Birrong) that is not served by Metro is unclear. 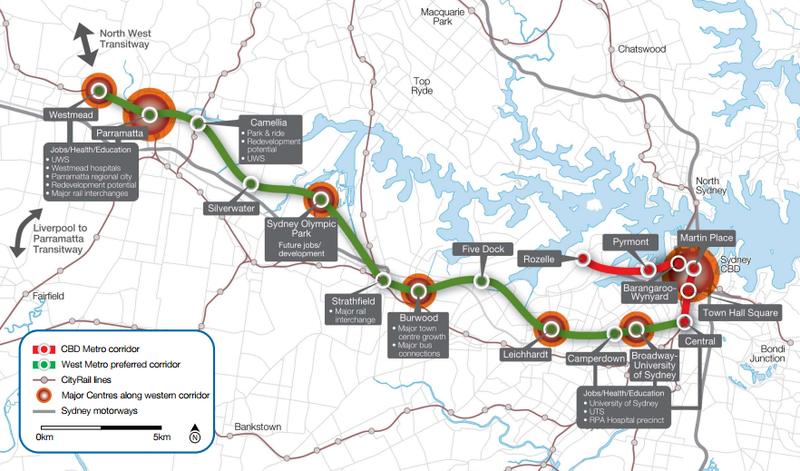 Sydney Metro West is in early planning stages, and the line has not been set, but some of the stations are locked in. What are the challenges facing the new metro? Critics have pointed out that it is flawed – why? The issue of Metros vs. Double-Decker Trains is a technology choice which has some practical tradeoffs. 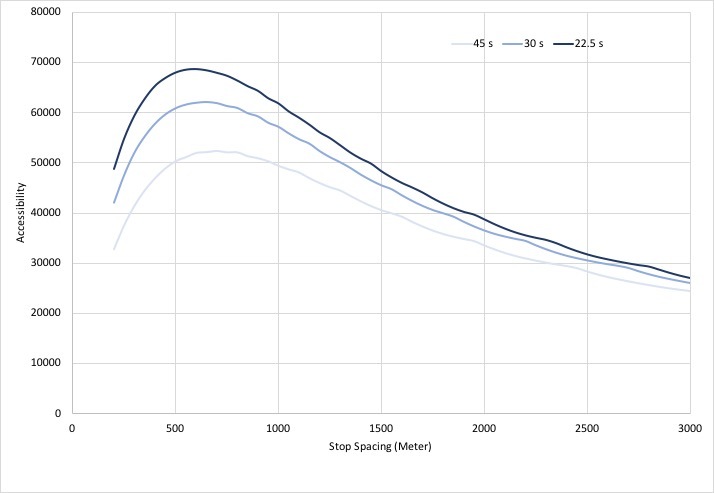 Metros have fewer seats (1 deck) and more doors, but a greater capacity, because they can run more frequently (because they can board and alight much faster, and because they are automated with modern signal controls). So for a short trip, fewer seats might be fine, since you save time. For a long trip, not being able to sit in rush hour, but standing for say 40 minutes, might be a bit tiresome for some people (noting that this is common in transit systems around the world). So one of the questions is whether this (Metro) technology is right for this (very long) corridor. I suspect there will be grumbling from people who want to sit and can’t. One reason, I am told, that the government chose Metro over Trains for the new lines is that because it is a different technology, it will be easier to manage separately from Sydney trains (and will be privately operated under contract). It was a technology choice to achieve a policy aim of breaking the existing bureaucracy and labour unions. Flexibility would have been a potential benefit from providing compatibility. On the other hand, separation has some value from a reliability perspective, problems on the train lines should not cause problems on the Metro (except for crowding where people have a choice between the two), and vice versa. Sydney is the first Australian city to build a metro system. What does this mean for Sydney as a city? And for its inhabitants? Not much. Note: Melbourne is also building a Metro. (Metro Tunnel). The distinctions between trains and Metro will not be terribly significant for most users, they will just see it as new and old trains. Now in the corridor that gets new service (especially the Northwest) this is new service (replacing buses rather than trains), so should increase people’s willingness to take transit for certain city-oriented trips. It will also encourage development in the corridor around stations. What does this mean for property owners / property developers? Which suburbs will suffer and which will benefit? And how is current uncertainty over the lines affecting property / developers / homeowners? How does “value capture” come into play? Is the metro a game changer? i.e will it give massive buying opportunities for previously low density suburbs? Will only the long term gamblers benefit? The game is the same. Just more territory is brought into the game. Since the lines and stations for the Metro NW and City/SW are already set, the land owners have already realised their price appreciation. There is still a small fortune to be made on the Metro West line, since where the stations land is still not set. One cabinet paper stated the Metro West project would trigger a high-rise boom, from the sale of development rights around a dozen new underground stations – what does that mean for standard of living? It means people who want to live in new high-rises near Metros (and the evidence is there are many such people) will have more opportunities and pay lower prices, and people who don’t will be largely indifferent. The neighbours of those new high rises will suffer more traffic, but have better restaurants and shopping. Will Metro West deliver on the promise of housing, jobs, and business opportunities? Jobs will come from construction, but Sydney is pretty close to full employment now, so if that remains so, it will attract workers for these jobs who otherwise would be working on something else, driving up the costs of construction and increasing inflation. 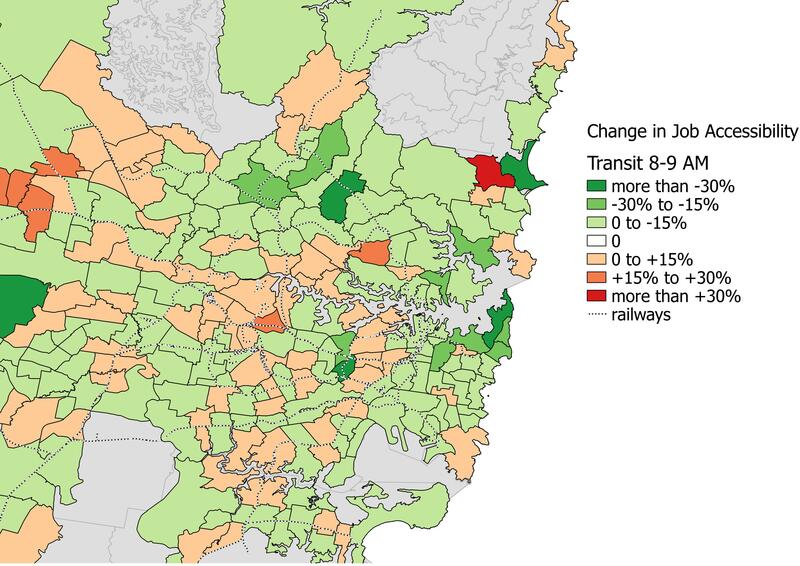 Sydney will not become significantly larger due to MetroWest (i.e. it won’t cause more babies to be born or increase national immigration, it might keep a few people in Sydney who otherwise would have gone to Perth or Hobart or wherever). However development with Sydney will likely concentrate around new stations to take advantage of the convenient accessibility the system provides, so station areas will attract housing and jobs that otherwise would have been more dispersed. How does the new metro reflect on the building of new roads, such as WestConnex, largely funded by the tax payer? Why wasn’t the Metro West rail project wasn’t considered as an alternative to WestConnex.